Mix 1 packet KLEAN hydration in 6 oz. water, shake well. 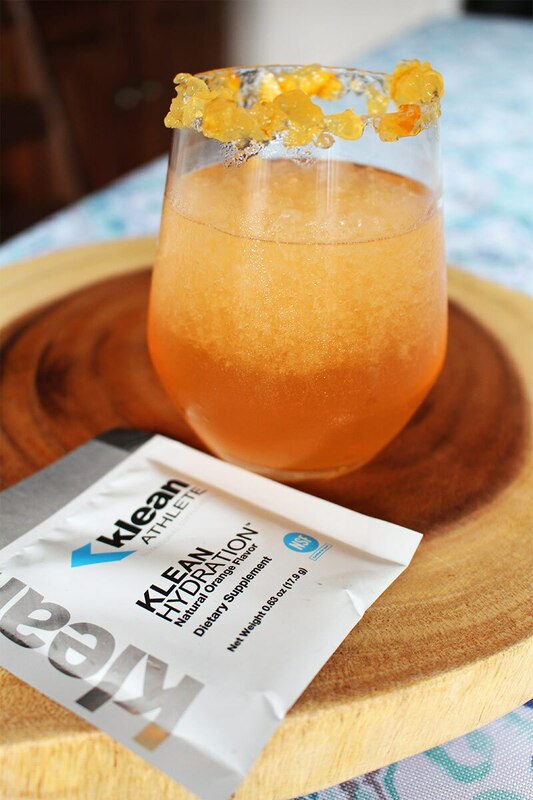 Crush 6 ice cubes in a blender, add the KLEAN mixture. Puree. Coat the rim of a margarita glass with orange marmalade and dip in KLEAN Hydration™. Pour in the KLEAN-ice mixture. Nutrient Content per Klean Rita: Calories: 60; Total Carbohydrate: 16 grams; Sugar: 12 grams; Fiber: 0 grams; Protein: 0 grams; Fat: 0 grams; Sodium: 180 mg; Potassium: 70 mg.